Nigerian universities are uniformly held back by the same epidemic of degeneration. Anytime, education-based foreign organizations rank universities in the world, African universities rank the lowest. And in Africa, Nigeria, this acclaimed giant of Africa ranks the lowest and in spite of Nigerias enormous wealth, it most times plays a distant fiddle to other less endowed countries of the continent. Over the years, even with Nigerias enormous capital resources, pressures from the academia and labour unions to remit 26 percent of the yearly national budget to education, as prescribed by the United Nations (UN) usually escapes the attention of the central government. A casual visit to university campuses in Nigeria would reveal a disheartening and awful rot that would melt the most hardened of hearts. Unfortunately, Nigeria parades an astonishing number of both private and public universities. At the last count, they were over a hundred and fifty. Its progressing in reverse motion. A peep into these citadels of learning would expose a system and a country that mocks itself. It descends down the lowest strata of education. Yet, indiscernibly, this is a country where all public officers mouth the slogan Knowledge is power, at public fora. It explains the paradox in confusion infinitum. 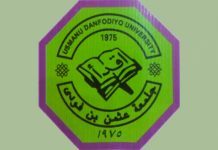 The problem is more complex, as successive university administrators in Nigeria, feel no obligation and are not morally submissive to any obligation or force to improve the institutions that has bestowed on them to lead. But a few of them have realized this regressive penchant and are attempting to make amends. Abia State University over the years is not left of on the above stated, but today, the story of University, under the watch of Distinguished Professor E. Uche Ikonne as Vice Chancellor is relatively different. In 2015 rating, before his appointment as VC, ABSU ranked 8403 in world and 93rd in Nigeria. But today, Absu is 30th in Nigeria and 6917 in the world. The quality of teaching in any varsity is determined by the conduciveness of the environment where knowledge is impacted. And it has been the focus of Professor Ikonnes administration in Absu. 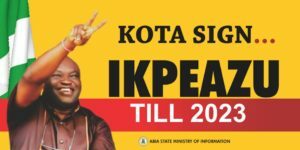 Apart from purging the University of Cultists, he has taken steps to improve learning facilities on campus. Added to it, he preached discipline and inculcated in the psyche of staff, both teaching and non-teaching as well as the students on campus, the essence of maintaining a friendly disposition in the discharge of every obligation. Additionally, Professor Ikonne has religiously followed and executed projects under the Needs Assessment Intervention Funds Projects of the federal government. 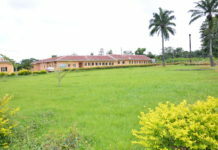 In the bid to expand the scope of learning, he has introduced the Faculty of Engineering and three additional departments in the faculty of Health sciences namely; Computer Engineering, Electrical & Electronics Engineering, Mechanical Engineering, Surveying & Geo-Informatics, Information & Communication Technology, Public Health, Anatomy; and Physiology. To his credit, he has already matriculated students in the various faculties and departments. 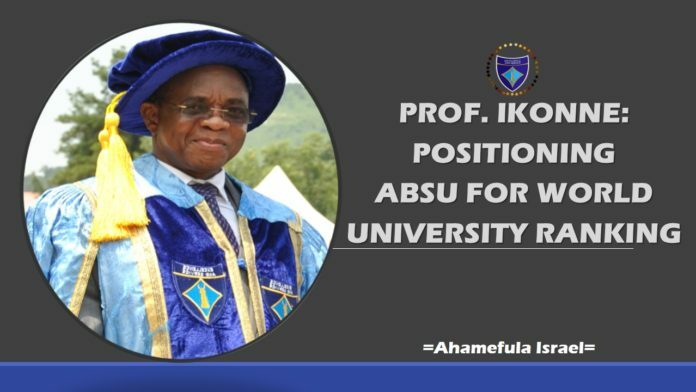 Targeting academic excellence and improving the academic visibility of ABSU, Prof. Ikonne has upgraded and increased its internet visibility so as to expose staff and students to the outside world. He has replaced the analog administrative style of the university to digital, introduced a functional, secure, user friendly and richer in content University website, geared towards enhancing the profile of the Universitys academic and administrative performance. 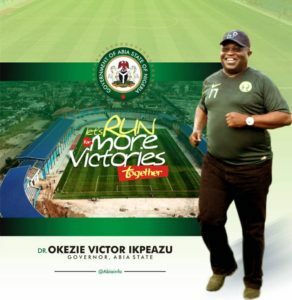 In other to increase the internally generated revenue (IGR) of the University, he has established business ventures, Private Partnership program, as well as linkages. Professor Ikonne has improved the response and frequency of delivery of inaugural lectures by the University Distinguished Professors where sixteen (16) out of the Thirty six (36) Inaugural lectures of the university have been delivered under 27 months of his administration. He also introduced the Eminent Persons lectures series of the university which should proffer solutions to the societal problems thereby contributing to the socio- political and economic development of the Nation and the society at large. Professor Ikonne have sustained the tradition of heavy investment in human capital development through the massive sponsorship of deserving academic staff members to learned conferences within and outside the country. Added to this is the judicious use of the various research grants by the University researchers, under his efficient supervision. 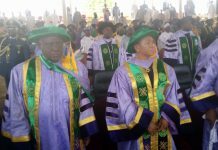 At each convocation ceremony and other public outing that attracts the presence of the Alumnis, the Vice-Chancellor has continued to solicit for the support of the Alumni in assisting their Alma mater to develop the university in order to sustain the growth and prosperity of the university. To demonstrate practical seriousness to this cause, Professor Ikonne, has created a database of alumni both at home and in the diaspora to establish an easy link with the alma mater to attract development to the varsity. Of a truth, Professor Ikonne is re-inventing Absu. He is certainly not a saint, but his administrative headship of Absu is a challenge he has taken personally and works round the clock to make indelible imprints. He is widely branded on campus as an Apostle of Our Story Must Change Mantra, for his doggedness and intolerance for corruption; the insistence on accountability as well as an aversion for campus vices of all nuances. 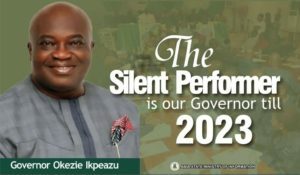 At this juncture, it is therefore wise to commend the Education friendly Governor of Abia State Okezie Victor Ikpeazu Ph.D for the choice of Prof Ikonne as Vice Chancellor of Abia State University & his unalloyed support to the university. It is also wise to encourage staff and students to continue with the support they are giving to him. The revolution that has taken place under his watch no doubt places the institution on the map of world center for academic excellence. 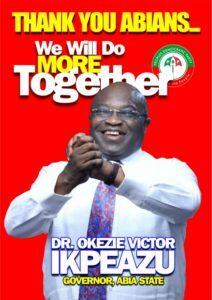 By the end of his five years tenure, Abia State University will indeed be the best. 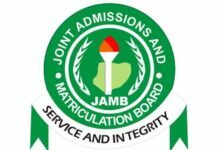 Ahamefula Israel, a Senior Advocate of Nigerian Students, writes from Uturu. e-mail:anyameleisrael@gmail.com.